Pick Analysis: Granted draft eligibility as underclassman. In 2014, was suspended one game after a sideline tirade during Eastern Washington game and was later dismissed from the team following a confrontation with an assistant coach during practice in November. During 2013 and 2014 seasons, Peters allowed just 38.1 percent of the passes against him to be completed and had 24 passes defensed and 8 interceptions. Selected second-team All-Pac-12 in 2013. In 2012, played in all 13 games, starting eight. Was a redshirt in 2011. Helped lead McClymonds High School (Calif.) to a 12-0 record his senior season, making seven interceptions. Considers Seattle Seahawks RB Marshawn Lynch a mentor. Published: April 30, 2015 at 10:14 p.m. The Kansas City Chiefs pick Washington cornerback Marcus Peters No. 18 in the 2015 NFL Draft. Published: April 8, 2015 at 03:31 p.m.
Take a look at the college highlights of University of Washington cornerback Marcus Peters. Published: Feb. 24, 2015 at 05:38 p.m.
Bucky Brooks joins Colleen Wolfe to break down Marcus Peters' performance at the combine and compare his play to an NFL player. Published: Feb. 23, 2015 at 08:23 a.m.
Washington cornerback Marcus Peters goes through workouts at the 2015 NFL Scouting Combine. Published: March 4, 2015 at 07:00 p.m. The "Path to the Draft" crew chats with cornerback Marcus Peters about his journey to the NFL Draft, why he feels that he is the best corner this year, and where he excels the most on the field. Published: March 4, 2015 at 06:39 p.m.
Charley Casserly selects Washington cornerback Marcus Peters during the New Orleans Saints "Draft War Room" segment. Published: March 4, 2015 at 07:44 p.m.
University of Washington cornerback Marcus Peters joins the "NFL Total Access" crew and analyzes himself and his own film as he gets ready for the 2015 NFL Draft. Is Washington defensive back Marcus Peters worth the risk? Published: Feb. 23, 2015 at 01:42 p.m. The NFL Scouting Combine crew discusses if Washington defensive back Marcus Peters is worth taking the risk with his off field issues. 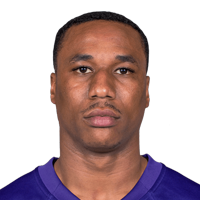 Published: Feb. 21, 2015 at 03:05 p.m.
Former Washington defensive back Marcus Peters talks about his playing style, what NFL player he models his game after and reveals one thing fans might not know about him while at the 2015 NFL Scouting Combine.